The first of many critical factors missing from most apps is there’s just no way of knowing how many parents are actively using it. Claims that an app has been downloaded thousands of times and is used in thousands of schools is totally meaningless and misleading. Unless you can see precisely how many parents are still using your school app, and how many parents haven’t deleted it, schools simply haven’t a clue. In the U.S. (its likely the results are similar in Australia), less than 51% of people haven’t downloaded any apps in the past 30 days, and of those that have, less than 25% used it a second time. This means that even if you’re doing a great job posting interesting news items on your app – at best, its likely that only 15% of parents will have the app on their phone! Unless schools have accurate analytical information about how many parents are using the app, they have no way of knowing the level of effective communication. But that’s not all! What schools really need to know is the level of engagement; which new items or messages parents are reading, whether the information schools are sharing is reaching or engaging parents, or whether or not parents are still using the app. Most apps have no security – meaning all school data is publicly available, insecure and accessible for anyone to download (this is the first warning sign that the app isn’t safe) Schools are limited with what information they can share on insecure apps, which may render them ineffective for engagement. It’s important to remember that your school app needs a high-level of security to be used to its full capacity. There is a growing trend of what the technology industry is calling ‘app fatigue’ where users are tired of downloading new apps and receiving endless updates. The problem with most school communication apps is that parents must download the app to receive school information – which, with app fatigue and overload is very difficult to achieve. Other than the fact that it is unlikely that more than 15% of your parents will actively use your app, apps rely on mobile data to deliver information. As a result, if parents don’t have mobile data, they miss important information. This is very problematic in emergency situations or if you’re sending in-app messages about absences. If a school app has a poor layout, design and is difficult to navigate, it will affect user engagement. If it’s too hard to gain access to information users want to hear about, they will give up fast and miss important information. A poor layout is damaging to a school’s brand and image. Apps often break whenever Apple or Google upgrade their software, and many schools report other stability and breakdown issues with their app. High-quality and efficient customer service is essential to maintaining a consistent level of communication with your school community, however sadly, customer service reliability and support is missing from many suppliers. Our study revealed a list of essential capabilities any school app must have to deliver a successful communication strategy. At MGM Wireless, we’ve invested a considerable amount of time and money building our MGM School Star app that delivers on all of these key attributes. Apps should be 100% secure. Only registered parents, students, staff, alumni and other known school community members should have access to the app and your school data. Sharing your internal school issues and information with the public is simply wrong. Unless an individual is known to your school, they should be locked out! This high-level of security will ensure that your school information is only shared with your school community and will prevent dangerous information leaks that should remain private and limited to approved users. Look for apps with analytics so you can accurately measure which news articles parents are reading, the format they like and which parents are using your school app. 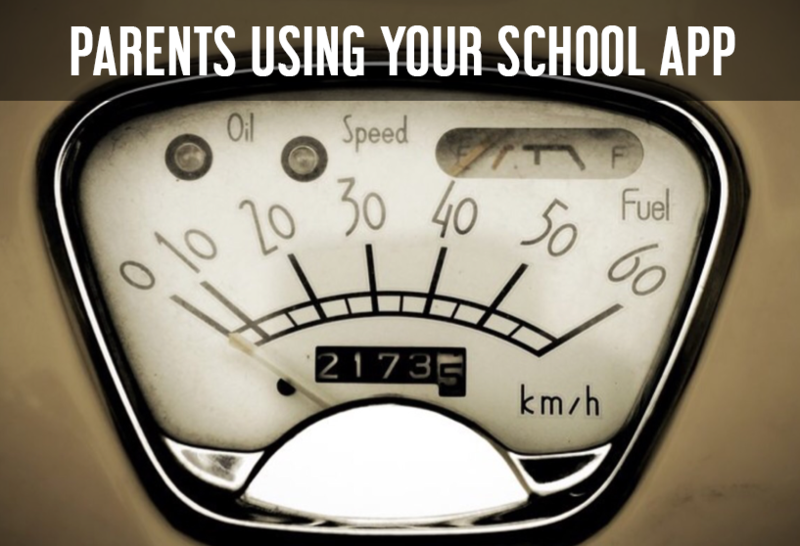 This provides your school with real insight in to how parents are engaging. Analytic capabilities are essential for schools to measure the success of their communication campaigns. Analytics help to improve the way schools communicate with their community and allow them to engage on a deeper, more thoughtful level. Apps are not a valuable or effective school-wide communication tool if they’re only used by a small number of parents (typically 15%), or if the parents don’t have access to mobile internet or WIFI. This is especially important when schools need to contact all parents fast in an emergency or for unexplained absence notifications. A clever way around this is to have an automatic switchover to 2-way SMS delivery for school news, messages and alerts. (SMS is enabled on all mobile phones and school usually have mobile numbers for all parents). This way your school news is delivered to 100% of parents. MGM’s School Star app works like this. Your parents have probably used Facebook, so they’re expecting your School App to look like this. (Most school apps look like a very poor cousin to Facebook). Look for an app with a beautiful, Facebook-style newsfeed that’s live, engaging and is simple to navigate and interact, and that you can brand as your own. This will enhance your school image, make your School look more professional and encourage repeat usability by parents. Do Schools Need A School App? With all these issues and problems, you’re probably asking yourself – Do we need a school app at all? The short answer is yes, but only if it’s part of an multichannel communication strategy that includes email, SMS, Social Media and Hardcopy Print that reaches every demographic of your school community. To Learn More About School Apps, Or Find Out More About MGM School Star App, Visit MGM Wireless And Start A Conversation.